Family Life: He was married to Kelly Hill from 2000-2002. He has been married to German actress Marie Zielcke since 2004, and they have a daughter named Hazel. 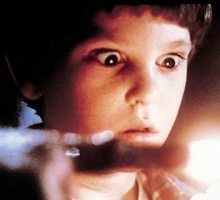 Info: As a child, Thomas found fame with his role as Elliott in the Steven Spielberg masterpiece E.T. 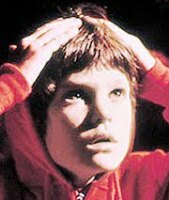 He continued to occasionally act after E.T., but focused most of his attention on school. He returned to acting in the late 1980s and early 1990s with roles in several films, and also got involved with music starting in the mid '90s. He wrote songs, sang and played guitar for the San Antonio, Texas band The Blue Heelers until the band dissolved in 1998, and then went on to write and record his own songs. His song "Truckstop Coffee" appeared on the soundtrack to the film Niagara, Niagara in which he also acted. Thomas also worked with Nikki Sudden on music for the film Honey Baby, but their collaboration ended with Sudden's death in 2006. Trivia: Attended Blinn College in Brenham, Texas. Ranked #24 in VH1's list of the "100 Greatest Kid Stars." Married Marie Zielcke in Las Vegas in the same Chapel in which Britney Spears married Jason Allen Alexander. Is the only child of Carolyn, a homemaker, and Henry Sr., a hydraulic machinist. Said that at age 8, he wanted to become an actor after watching a PBS special on acting and decided he had found his calling. 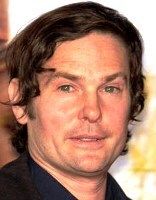 Where Are They Now: Henry Thomas has been quite busy in the last few years. After an appearance in the Stephen King adaptation Gerald's Game and a recurring role on the heralded FX series Better Things, Thomas has three projects, Riptide, The Great Race, and the highly-anticipated series The Haunting of Hill House, currently in production.